Uh oh, Taken’s back for another copy of the same plot. Who’s going to die/get kidnapped this time and why do they never let Bryan have a happy ending? In truth, the film was actually decently good the whole time except for…a scene with animal violence. Why did they feel the need to destroy the dog? That was sloppy writing and that’s putting it nicely. I expected much more from this film, ah well. Conceptually, having a Taken 3 makes sense for that “One Last Ride” kind of feel and the poster is actually very good. The execution just wasn’t ready for it. Well, Bryan is having a good day as per usual until he heads home and finds out that his ex-wife has been murdered. He is framed for having done the deed and must prove his innocence while finding the real crooks. It’ll be tough though since they are after his daughter as well now and these guys don’t play by the rules. Furthermore, Bryan is being hunted by the FBI and CIA so that complicates things. Ah well, he’s a pro so he should be able to get the job done. I don’t really talk about cinematography or camera work much because I don’t really care much about it. Unless it’s really bad camera work like objectionable zoom ins (Michael Bay films) or something then it’s all the same to me. Still, it’s worth mentioning how the camera constantly cuts away in this film. Action scenes use dozens of different camera angles and they all barely last over a moment. It’s like the director was panicking the whole time. It’s unintentionally funny, but I don’t think that’s what he was going for. The film’s mostly not all that violent which is nice. I dare say that it’s probably the most tame of the 3. After all, this one is really focused on being a big action film as opposed to a dark, more serious kind of revenge tale. That being said, the waterboarding scene was a bit much. Bryan puts the guy under 3 different times in a scene that drags on way too much. The guy will sputter and gargle, talk a tough game, then rinse and repeat twice. I was expecting it to happen twice, but not a third time. That was definitely a twist, just not a good one. This film wasn’t even all that dark. Again, it’s just a generic action thriller with some iffy plots. One of those plots was that his ex-wife is unsatisfied with her current marriage and wants to cheat on the side with Bryan. He is too honorable for that even if his reaction time is suspiciously slow for breaking it off when she attacks him. We didn’t really need this and it does seem like she’s floating back and forth a little too much. The characters all talk about how her current husband is pretty bad and he does turn out to be one of the big villains, but I don’t see what she saw in him the first time. The husband is basically just one of those guys who owes a bunch of money to gangsters and is now caught in a position where he owes them a lot of money. Ah well, that’s why you don’t deal with gangsters. The film never tries to get you to sympathize with him and that’s good since I wouldn’t have bought the act. The actual villains are pretty soulless though and don’t get any personality. They’re literally just guys with guns and this isn’t personal for once. I guess there wasn’t as much of a focus on them for a change. For once the cops actually didn’t look that bad. They still let their guard down a little too quickly at times and lost quite a few rounds, but they tried. While you probably won’t believe how easy Bryan knocks them out and escapes, he’s the main character. The primary detective for the cops ended up doing a good job though. At times the film tried too hard to make him the “tough but laidback” character as he’ll sit down and enjoy a few bagels. He’s clearly still thinking about the case, but tries to get everyone to let their guards down. It was nice to have at least one cop who was fully competent since he helped to elevate everyone else. Bryan’s daughter got a mild role here as well, but her whole subplot was basically filler. It wasn’t the best time for having a kid or even distracting Bryan with that revelation since he is a wanted man. I can’t say that I care for her friend at all since he vanishes whenever the villains appear and seems to be a little too interested in wine. The daughter also just annoyed me with how ungrateful she was for the bear. I get that it’s not the present she would have wanted, but you should really appreciate any present that you get or at least put a brave face on in the moment. It’s important to take these things in stride. I can at least say that the pacing is pretty quick. The film goes by in a flash considering the actual time and that’s because the plot is interesting and the characters are rather familiar by now. I do think that Bryan’s friends are given way too much hype at times as they can pull guns on federal agents and just walk away calmly. Does nobody care that these retired pros are interfering with the law? It feels like they can get away with anything so it’s good that they’re heroes at the moment. 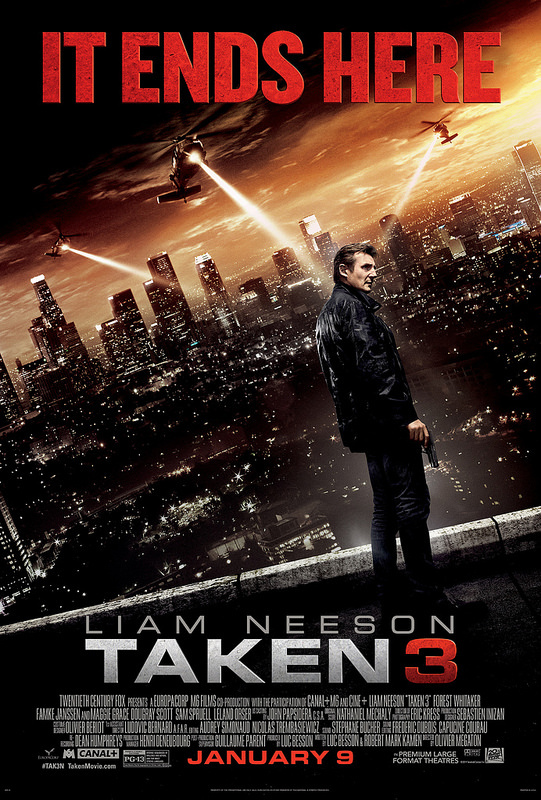 Overall, Taken 3 is mostly decent. Take away the animal scene and the random waterboarding and it would grab 2 stars back. Still, there’s nothing original about the film and it does end up as a very generic action movie. It never managed to carve out an identity for itself which is unfortunate. I suppose this was just too much for the movie. If you enjoyed the first two films and don’t mind seeing another rehash then this is the film for you. Keep in mind that nobody is really taken for about 90%n of the film unless you take the title more literally this time around. 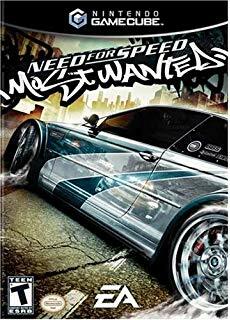 The first film is really the only one where the plot focused on someone being taken for the majority of the movie.